"Have been taking my dog Kenzie to you guys for a few years now and she always gets done by Deb. I just want to say how much I appreciate the care and compassion she gets every time koodoos to you all." We are so very pleased with the grooming Winston gets every time he comes. He is always so fluffy and clean and so happy. Thank you so very much for all your care." "I have been a client of Mucky Pups for 15 years and I would never go to another groomer. 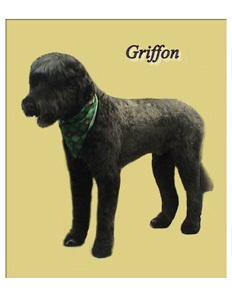 My Portuguese Water Dogs require a breed specific cut and Jackie and her team are pros. I am comforted knowing my dogs are cared for and treated well at Mucky Pups." In light of recent events, I just wanted to thank you for always giving me the peace of mind that comes with knowing Jake will always be safe when in your care. He’s a pretty special dog to me who’s already been through so much; so it’s nice to know I never have to worry about him when he is being groomed. He’s always so happy to walk into Mucky Pups and be led away from me, and if you know Jake, that alone is a testament to how comfortable and safe he feels there. Thank you!!!" "Shannon has been grooming my dogs for around 17 years now and I have never been disappointed. If you are looking for a salon that have both qualified and caring people then this is definitely the place! Would never trust my dogs to anyone else." - Lanac@ 3 well groomed dogs! I'll be honest, I'm not one for writing testimonials, but on this occasion I feel it is necessary to share and give MUCKY PUPS the praise they deserve. I have unfortunately had the experience of taking my dogs, Teddy & Lucy, to other dog groomers in the city in the past. They have come out shaking, very nervous to go back, and the groomers took little to no care with their cut or showed any compassion. They were a quivering mess coming home. THANK GOODNESS I FOUND MUCKY PUPS!!! Ted & Lucy can't get out of the car fast enough to get in there for a cuddle. They are beautifully groomed and cared for and are excited and happy by the whole experience. We have now moved out of the city, and quite a distance from the MUCKY PUPS shop, but I wouldn't entertain taking them anywhere else.